Permanent Makeup, also referred to as Micro-pigmentation or Cosmetic Tattooing, is a procedure of applying microscopic insertions of pigment into the dermal layer of the skin for enhancing your natural beauty. For centuries, men and women have been waking up with perfectly applied make up every day or utilizing this practice to enhance or correct their skin color. Many women who have had this procedure find they wear much less makeup than before, some continue to apply regular makeup for the more finished look and enjoy the color the permanent cosmetics add to their facial features, while others find joy in not applying any make up at all. Serving Ashland KY, Huntington WV, and Portsmouth OH. 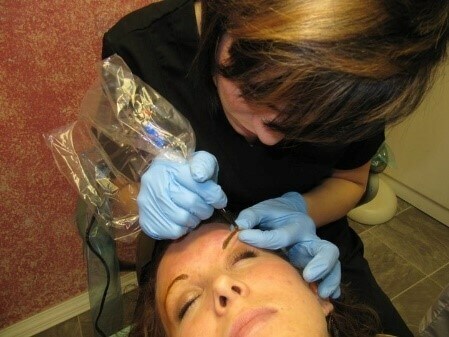 Where Can Permanent Makeup Be Applied? 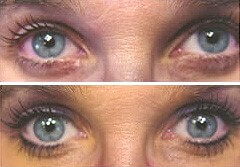 The most common applications of Permanent Makeup involve the eyebrows, lips or lip liner, and eyeliner. Permanent makeup is also used for correction of scars, birth marks, areola restoration, and after breast augmentation and/or surgery. All pigments are made of natural minerals that are specifically selected for their safe, non-toxic and hypo allergenic properties. What Happens with Permanent Makeup Post-Care? Touch-ups of Permanent Make Up are dependent upon the individual. Touch-ups are recommended usually every 4-6 years. The use of sunscreen is recommended to help eliminate areas of fade.